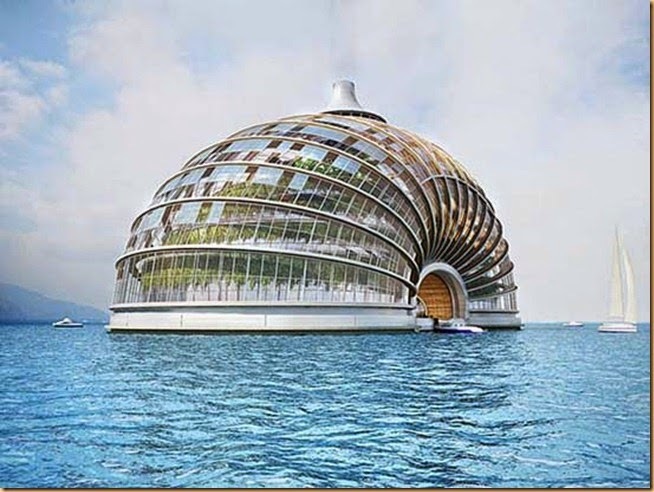 Ark Floating Hotel in China by Remistudio | Do You Know? In response to concerns about climate change and rising sea levels, the Russian office Remistudio has designed a hotel conceptual with the ability to withstand extreme floods. 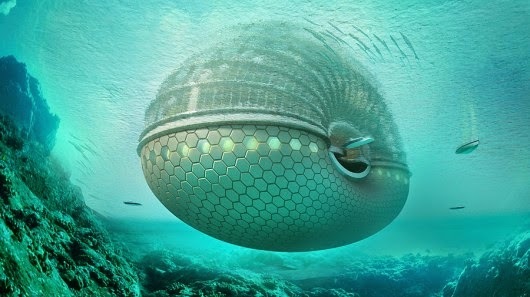 The building Ark mode has a structure that allows it to float independently on the water surface. The Ark was also designed to be a bioclimatic space with self-contained breathing apparatus. 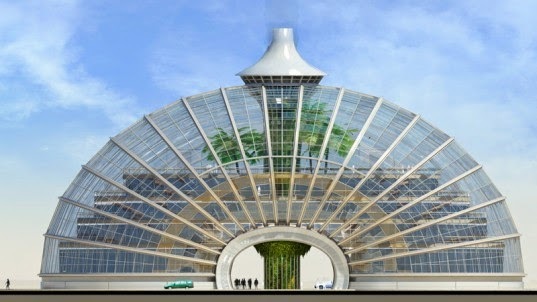 The project was designed in conjunction with the International Union of Architects in its program "Architecture for Disaster Relief" (Architecture for disaster relief) and can be built to regions with different climates and seismically dangerous because the underground is a shell structure, no angles. 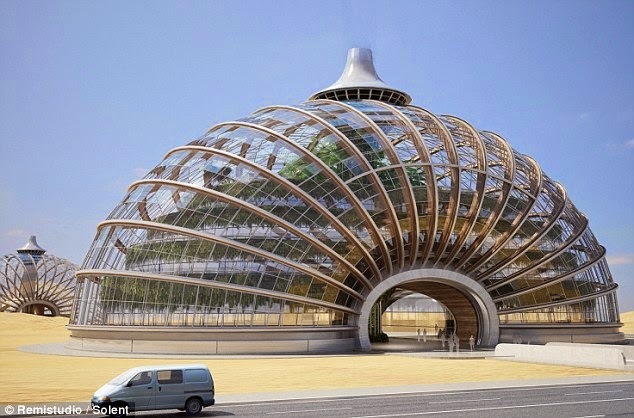 The Ark is an energy system itself and the way it is convenient to install solar panels at an optimum angle to the sun. Its dome, on top, collect the hot air that accumulates seasonally to provide uninterrupted power supply for the whole complex. The heat from the environment - air, water or ground - is also used for this purpose. 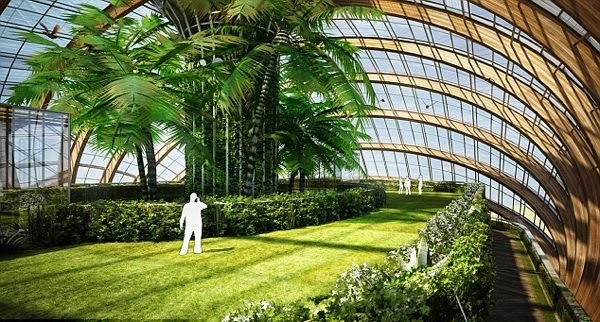 Inside the Ark incorporates large amount of vegetation that is cultivated through the light captured by its cover, like a greenhouse. The staggered balconies serve as social and recreational areas, and open layout allows the building to be adapted to different functions depending on how it is necessary and can be installed on the ground without any problems. The structural soundness of the Ark is provided by wooden arches compression and tension steel cables. 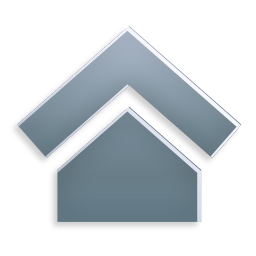 The frame is covered by a special foil ethyltetrafluoroethylene or ETFE. It is a strong metal sheet is automatically cleaned transparent, recyclable, durable, economically efficient and lighter than glass. They also serve as solar collectors to heat water, and channels to collect rainwater from the roof.